Published for the first time in its entirety, this major epic poem assures Anne Waldman’s place in the pantheon of contemporary poetry. 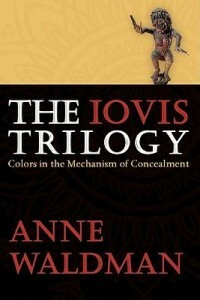 The Iovis Trilogy, Waldman’s monumental feminist epic, traverses epochs, cultures, and genres to create a visionary call to poetic arms. Iovis details the misdeeds of the Patriarch, and with a fierce imagination queries and subverts his warmongering. All of Waldman’s themes come into focus—friendship, motherhood, politics, and Buddhist wisdom. This is epic poetry that goes beyond the old injunction “to include history”—its effort is to change history.